I created a mural of diverse and significant members of the STEM (science, technology, engineering, and math) community. It is located in the Lyons Middle/Senior High School math classroom spanning 15’5” by 9’. It features Maryam Mirzakhani, Muhammad​ al-Khwarizmi, Alan Turing, Margaret Hamilton, Leonhard Euler, Albert Einstein, Shiing-Shen Chern, Annie Easley, and Srinivasa Ramanujan. These figures were carefully chosen based on their contributions and their backgrounds. Altogether, it includes men and women with Caucasian, African American, Asian-American, European, Middle-Eastern, Indian, heterosexual, homosexual, Christian, Muslim, Hindu, Atheist, and Jewish backgrounds. Additionally, I created a website, stemmural.weebly.com, about the mural featuring a research project on the figures of the mural for middle/high school students. The research project will be implemented in the school each year and can be accessed by other teachers worldwide. 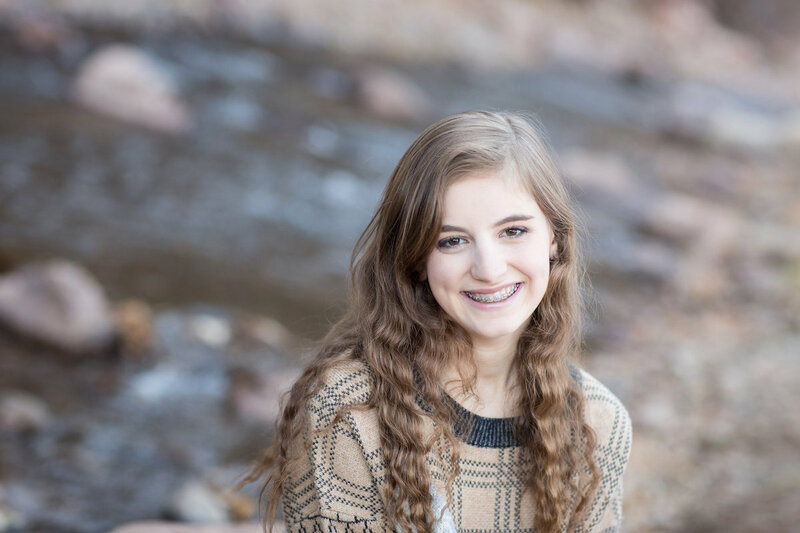 My goal was to inspire students in my community, not only to be more accepting in a globalized world, but also to be excited and interested in pursuing a career in STEM. The volunteers who painted my mural with me have been the first to be impacted by the mural. A survey I took of them before working on the mural concluded that of the nine people to be painted only one was recognized by all six volunteers. After creating the mural, they agreed they had an acute understanding of each of the people, four out of the six even did research on their own about the figures on the mural they were interested in. The mural will remain a permanent part of Lyons Middle/Senior High School and the local math teacher will use the accompanying research project annually. The website will allow for far-reaching sustainability. It can be accessed by any teacher as it is public, and used by students because of its classroom-friendly layout. The visual aspect of the mural along with its academic value will continue to inspire curiosity to those who encounter it. Through the addition of the educational website the mural can reach people beyond the confines of Lyons to make a nationwide impact as more students can be inspired by the people on the mural and their accomplishments. In order to promote the project internationally, I will contact the president of the Outreach Society at the University of Edinburgh in Scotland to give a presentation on the mural and using art for outreach. My greatest self-revelation came from working with less artistically experienced volunteers. I had to learn that leaders need to use patience and encouragement when helping their volunteers. I grew to understand the importance of teaching, rather than telling. Being so familiar with the subject matter of the mural really empowers me to take all the confidence I gained and be able to jump straight into projects. I am not afraid to take on big tasks, because I feel more qualified. In college I will be surrounded by new people and new professors, but with a goal in mind those people feel more approachable. 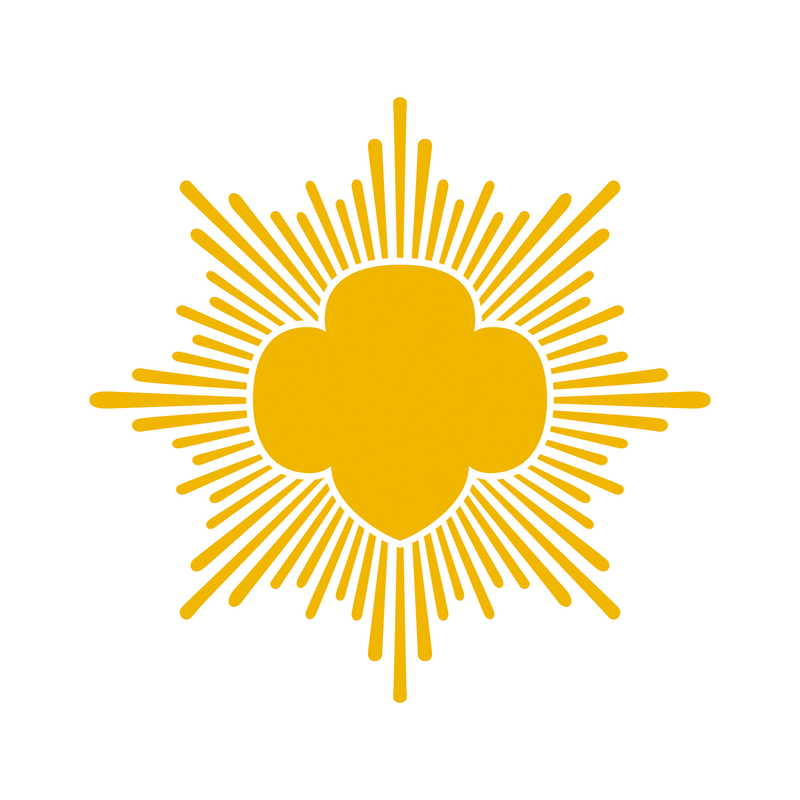 Growing up I had always heard numerous people saying they were an Eagle Scout, but scarcely ever heard of anyone receiving their Gold Award. I wanted to be a person who could tell younger kids that I had earned my Gold Award. Accomplishing this task through hard work and cooperation has been the best way to finish my time as a Girl Scout. Completing the STEM mural taught me the value of hard work. I know now that if I want something I have to put myself out there and campaign for my goals. Becoming a go-getter through this project has made me confident in knowing I really can start more outreach projects on my own throughout the rest of my life, if I am willing to do the work it takes. Our hearts go out to those whose lives have been devastated by the flooding in September throughout Colorado. 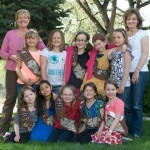 We know that our members have been concerned about how the floods may have affected our Girl Scouts of Colorado properties, as have we. With no access to the property, information has been very slow to come on the status of our property in Lyons, Kiwa Korral. Hundreds of Northern Colorado girls enjoy a volunteer-led day camp that’s held every year at the property, and the beautiful camp is beloved by GSCO girls, volunteers and staff around the state. Late last week, council staff got their first brief view of the property with our insurance adjustor. The state highway adjacent to the property is washed out, and the flow of the nearby creek diverted itself and has enlarged by many times to be river-sized and has expanded to the opposite side of our property, leaving Kiwa Korral as an island. Because we are not permanent residents, we will not have access to the property for an indefinite period of time. The lodge is standing, but has suffered significant damage. The shelter is a loss, and the entire property is flooded with massive amounts of debris. It is truly saddening. We do not have a report as of yet from the insurance company, and no FEMA assistance is available to us. This is all of the information that is available to GSCO at this time. We have just learned that Pawnee Lodge in Sterling did not sustain any damage. The other good news for GSCO is that no other camp properties incurred any flood damage. As soon as more information is available, we will continue to share it with our members and the public. 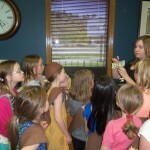 Brownie Troop 3982 worked on their Penny Power Try-it while visiting the Valley Bank and Trust in Lyons on April 18. 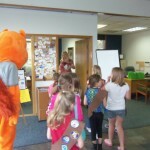 The girls learned how to write checks, start a savings account and got to see the vault!